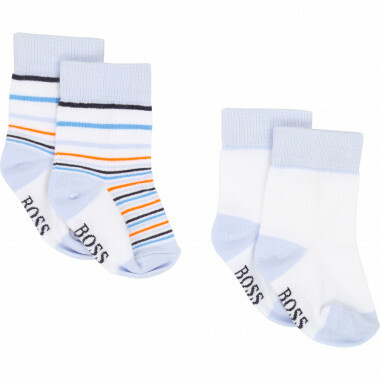 Discover stylish and trendy outfits for which boys, girls and babies will fall for! The collection delivers modern classics, blending a strong offering of outerwear with sophisticated city looks and focusing on reliable pieces that are timeless yet innovative. 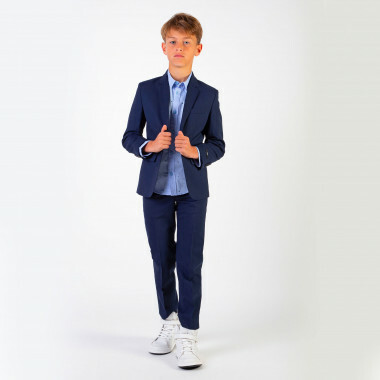 For special occasions, the Ceremony collection offers a large range of suits. 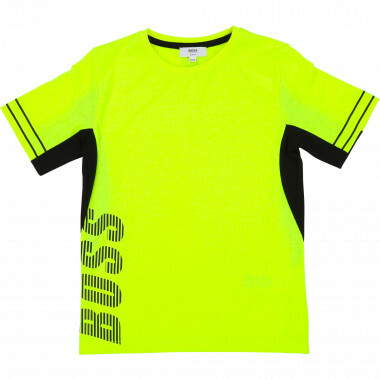 As an emblem of haute couture, both parents and children alike fall in love with Hugo Boss kidswear. 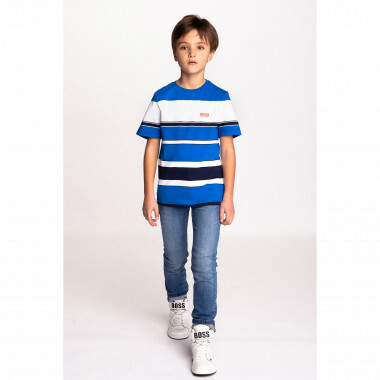 With perfect cuts and elegant details, their creations are so incredibly functional and comfortable that no child can resist wearing them. 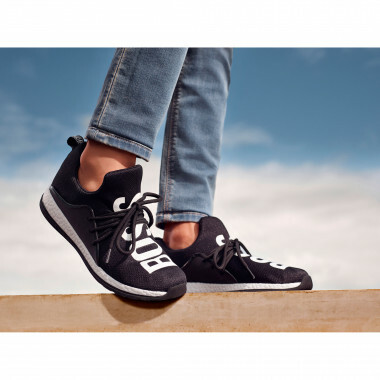 Designed for children with huge ambitions, your love affair with this brand can start from the cradle, to ensure you have a Hugo Boss styled baby boy or girl! 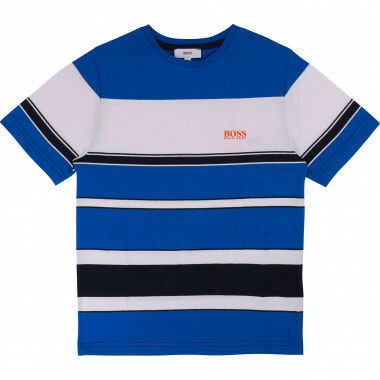 The collection of Hugo Boss baby clothes offers everything from adorable onesies and pyjamas to the brand’s classic polo shirts. 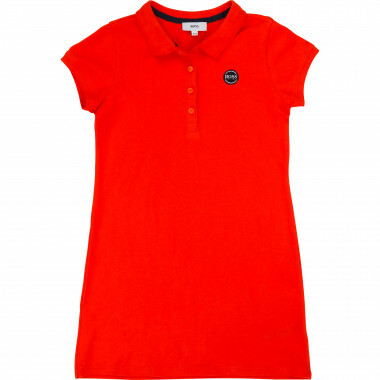 For little princesses, there are gorgeous dresses as well as sportier designs for everyday wear. 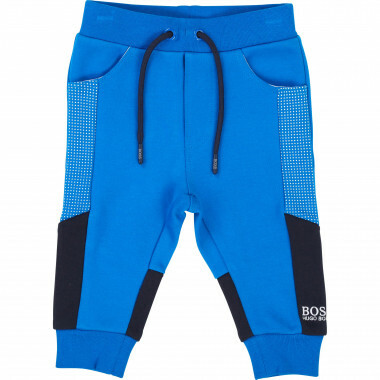 The Boss kids’ athleisure line offers jogging pants and matching sweatshirts that will give your kids all the freedom of movement they need to have fun without sacrificing fashion. 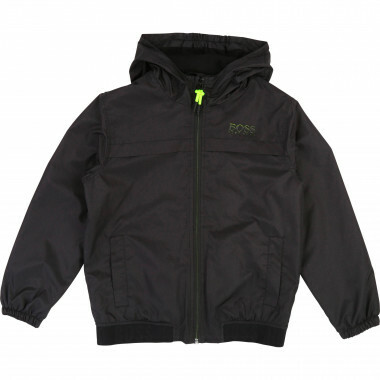 And we can’t forget their bomber jackets and parkas, which will keep your little one warm without unwanted bulk. 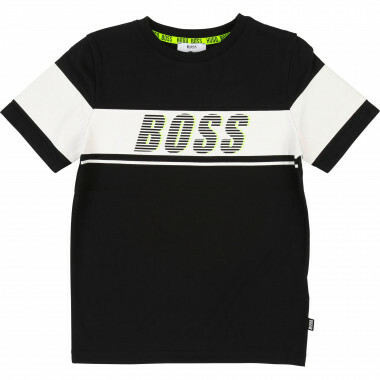 To effortlessly change up a look, the Hugo Boss junior collection puts endless T-shirt designs at your disposal. 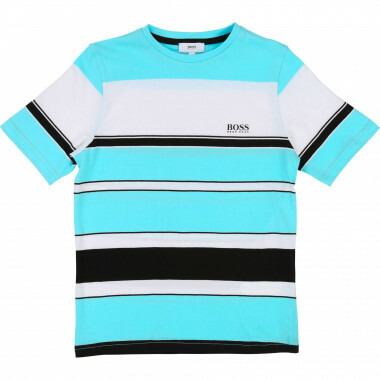 Stripes, a single colour or with fun logos, you can mix and match them a thousand different ways to enjoy a variety of styles. A preppy look?  Grab a pair of chino trousers or Bermuda shorts. 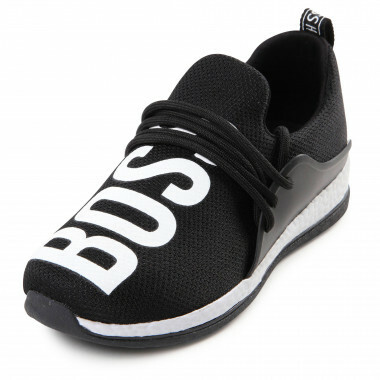 Urban streetwear? Just add in a pair of jeans with a scarf and you’re good to go. 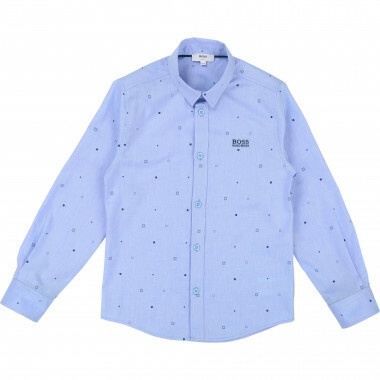 Boys can wear the light and practical shirts on special occasions with a matching blazer or trousers. 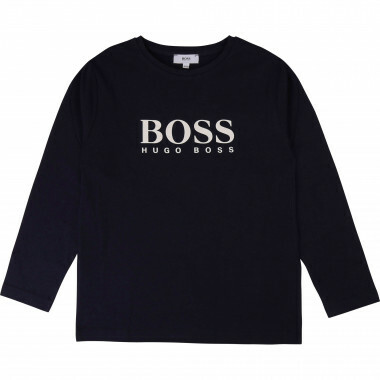 Or you can take one of the chic Hugo Boss kids’ cotton shirts and pair it with a jacket to achieve a relaxed, urban style, or choose a knitted vest to bring out the dandy inside.